We are a Class A Contractor, backed by the Better Business Bureau! When you don't believe something is impossible, then everything is possible. At Fortress Foundation Solutions we have a passion for working with this imaginative spirit: no one told us we can't change the world, so we will and we are here to take the industry by storm. We will lock arms to walk alongside employees and customers so we can create an experience one would never expect in a contracting company. We are here to create a vision of what could be possible. Think about the last encounter you had with a contractor. Did they leave an impression? Was it positive, negative, did they inconvenience you or did they not make an impact? We believe what we do makes an impression on businesses, our community's lives and, ultimately, the world, so we ensure yours is positive from the very first call. Whether you are getting a wet basement waterproofed, mold removal services or seeking foundation solutions, we vow to be responsive, to make and stick to appointments, to give a free estimate on all our services and to clean up after the work is completed. We provide Central Virginia homeowners elite basement waterproofing, mold remediation, and foundation repair services that reinforce the structure of their home and enhance its image, performance, and value. Jerry has an extensive understanding of the basement waterproofing, crawl space, and structural repair industry having been serving customers in the below ground space for almost 12 years. He prides himself on his ability to design solutions that offer a high degree of peace of mind for all of his customers. Jerry is a true professional and has been in the residential or commercial construction industry since he was 14 years old where he developed a passion for helping customers and providing reliable solutions. He has been thoroughly trained and has earned the highly esteemed title "CERTIFIED Waterproofing Professional through the Basement Systems International Contractor Network. He is a trusted and valued member of Fortress Foundation Solutions and upholds the high standards of the company. Jerry enjoys meeting with homeowners and helping them solve their basement/crawl space or foundation problems, enabling them to get more out of their homes. He spends his free time enjoying baseball and his family. At Fortress Foundation Solutions, we are committed to providing a "wow" experience and to challenge the status quo. We hope our exceptional customer service and home improvement solutions set new standards in the industry and change the world. We know when customers invite us into their homes, our services provide a significant impact on their way of life. We hope every single one of those interactions leaves the customer saying, "wow!" We believe our values are what support our purpose and shape the culture of our company. With one team, one passion and one community, we can improve the industry and change the world. We are believers. The standard for contracting services has dropped. Unresponsive service, late arrivals or missing appointments entirely, messy work and shotty pricing has become the norm and homeowners have been forced to settle for less than stellar service. Not anymore, not with Fortress Foundation Solutions. When mediocre service is the best contracting companies can offer, then that is unacceptable. At Fortress Foundation Solutions, we believe with every job we provide, every customer we help and every interaction we have creates a ripple effect. Not only do we want to exceed the expectations our customers have, but we hope to create new standards for how they should be treated. We envision a world where every contractor understands and believes that the customer is the reason for being. When contracting companies view the customer experience as purely transactional in nature, then inferior products, inferior solutions, and inferior craftsmanship no longer become an issue. They will quickly complete the project and move on to the next, all in an effort to finish the job and collect a check. Then when the contractor's services break down later on, they are long gone. We hope Fortress Foundation Solutions' commitment to our community and our customers can change this standard. We hope contractors can begin to care deeply for their clients and build long-term relationships with them. We see a world where a contractor takes the time to effectively train their crew and conveys the importance of providing the best customer experience possible. A world where contractors do the job right the first time, using superior products, expert craftsmanship and permanent solutions they can stand behind. 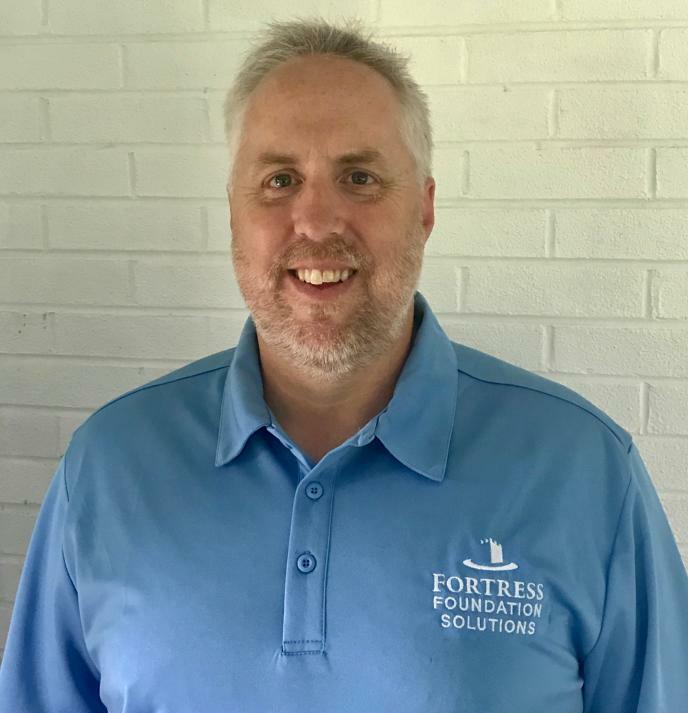 We hope Fortress Foundation Solutions can set the bar for an exceptional customer experience so high that mediocrity will simply no longer be tolerated.